To maximize your savings, we accept both types of health insurance you may have that will help pay for your eye health services and products. Medical insurance can be used for medical eye care visits and testing for conditions such as Cataracts, Diabetes, Glaucoma and Macular Degeneration, just to name a few. Most of the plans we accept are below, however some insurances accepted are plan or provider specific. 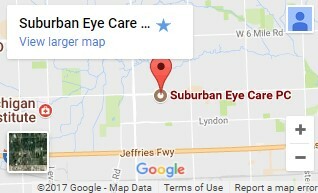 Please contact Suburban Eye Care for more details. We also offer an in-house savings plan, the Suburban Eye Care Club, to make exceptional eye care affordable for those with insurance plans in which we do not participate. Please Click Here for details. Please call our office to verify that we can bill your particular plan. For your convenience we accept all major credit cards except American Express, Flexible Spending Accounts and Care Credit, for which we can submit on your behalf during your office visit.